Around the Lasco Project, the Palais de Tokyo’s programme dedicated to urban art. This informative magazine is devoting its latest issue to artists whose work has been developed in the street. In French and English. 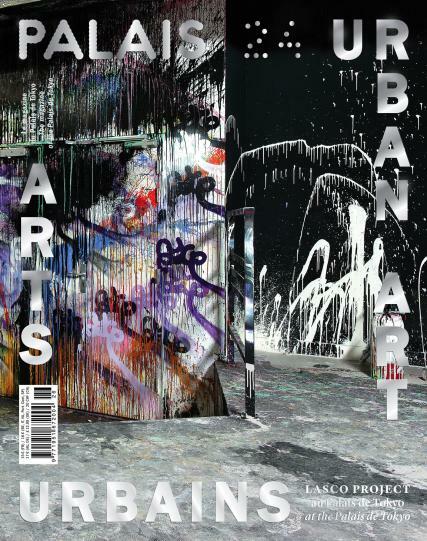 Buy a single copy or subscription to Palais 24 UrbanArt magazine. The Lasco Project was initiated in 2012, and is one of the most astonishing successions of urban art in a cultural site, reaching into the slightest nook and darkest cranny of the Palais de Tokyo. For it, almost sixty international artists have produced interventions, some of them monumental, others secret, which confront the Palais de Tokyo’s plain architecture, and infiltrate into its interstices.